I had so much going on this month Personal wise. My mam was rushed to hospital and had emergency surgery and my father in law had a stroke. We spent most of the month working or in hospitals. It was tough going. But I managed to read 9 books and for me that’s right on track for the month. Also on another good note I was shortlisted for the Littlewoods Ireland Blog Awards 2016. This made me so happy. I’m blogging for about 8 months now. So this was great for me to get this far. I unfortunately wasn’t a finalist. But there’s always next year! Stealing Taffy (Bigler, North Carolina #3) by Susan Donovan, 4 Sweet like Taffy Stars on gioodreads, Read from July 29 to August 01, 2016. Check out my review here! Into The Green (Into the Green #1) by Jessica Gadziala. 4.5 Light Fae Stars on Goodreads, Read from August 01 to 04, 2016. Check out my review here! Craving Hawk (The Aces’ Sons #3) by Nicole Jacquelyn. 5 biker Stars on Goodreads, Read from August 08 to 10, 2016. Check out my review here! UN-SHATTERING LUCY by Terri Anne Browning. 4 Rocken Stars on Goodreads, Read from August 10 to 11, 2016. Check out my review here! Reaper’s Fire (Reapers MC #6) by Joanna Wylde. 4 On Fire Stars on Goodreads, Read from August 12 to 16, 2016. Check out my review here! Hard Rules (Dirty Money #1) by Lisa Renee Jones. 3.5 Hard Rules Stars on Goodreads, Read from August 18 to 22, 2016. Check out my review here! 27 Truths: Ava’s Story (The Truth About Love #1) by M.J. Fields. 4 27 Truths Stars on Goodreads, Read from August 24 to 26, 2016. Check out my review here! Wide Open Spaces by Aurora Rose Reynolds. 4 Second Chance Stars on Goodreads, Read from August 29 to 30, 2016. Review to come. The Hard Way by Katie Ashley. 3.5 Lost Love Stars on Goodreads, Read from August 30 to 31, 2016, Review to come. 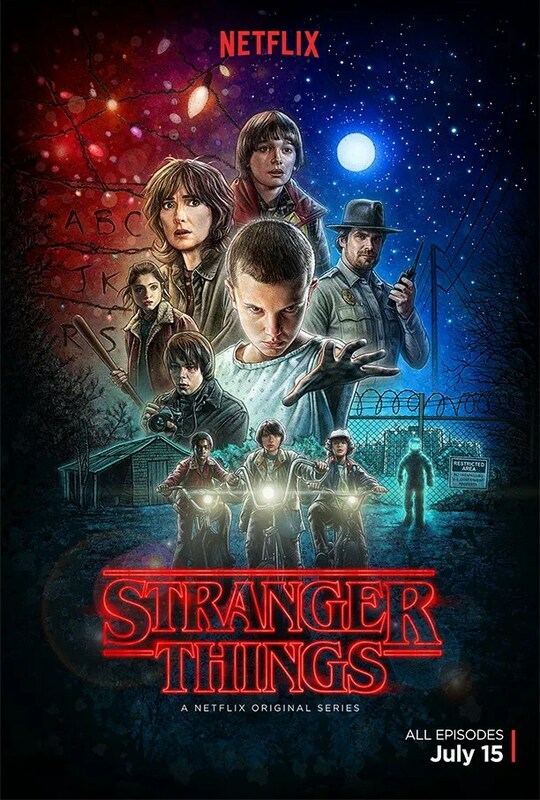 I also did a post this month on Stranger Things and you can check that out here. Thanks luv that’s very good of you. Things with my mam are on the mend fast. But my father in law I think will take a lot of time. Thanks doll, your very good! Sorry to hear about your mum and father in law, I hope they both get better soon. Congrats on being shortlisted for your award though, that’s amazing! I’m so sorry to hear about your mum and father in law. You and your family are in my thoughts ♥ I hope the recovery process goes well for both them. My nana had a stroke when I was younger and it was a long road, but she managed to make a full recovery so hopefully the same will happen with your father in law. You had a great reading month! So sorry to hear about your mom and father in law! I hope everything gets better soon! So sorry to hear about all your troubles…wishing wonderful days your way! I admire all that you accomplished in spite of the difficulties. Amazing! Thank you Tanya your so kind.